It's that time of year again - time for back-to-school shopping. But many parents facing hard times are trying to curb their spending. 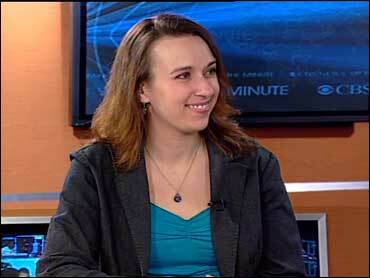 Kelli Grant, Sr. Consumer Reporter for SmartMoney.com, has some tips to trim your back-to-school budget. When hitting the stores this year, don't rule out big retailers like Target and Walmart for clothes and school supplies. "They tend to have better prices than you'll find at office supply stores and places that really specialize in back-to-school items," says Grant. It also pays to visit warehouse clubs like Costco or Sam's Club. "Costco, right now, is offering up to $400 off Dell computers," says Grant. Sam's Club has some great deals on things like highlighters, too. Also, ask for price adjustments. If you buy an item and notice it goes on sale shortly after you've purchased it, "Most [stores] will do what they call a 'one time' price adjustment," says Grant. "If the item goes on sale within two weeks of your purchase, all you need to do is show up back with your receipt." The store will refund you the difference, and those savings can really add up. You may want to consider procrastinating a bit, too. By waiting until the last minute to grab school supplies, you could save some money. Grant suggests buying basic items now while they're on sale, but wait until after school starts to buy the rest. Once the back-to-school rush has calmed down, retailers will often put traditional back-to-school items on clearance. Grant also suggests avoiding large chain electronic stores if you need to buy a computer. Instead, she says, buy it straight from the manufacturer. "You're going to see great deals on computers everywhere, but some of the better deals... are going to be directly from the manufacturers," says Grant. "Apple and Dell both have special pricing for students, and that can be something like an 18% discount on a Macbook Pro from Apple." Finally, organize your shopping. Make a list of what you need to buy and stick to it. Or, if you find yourself getting overwhelmed with all the choices, ask your child's teacher or the school district for a list of suggested supplies. "That's going to be very helpful for people that are trying to budget," says Grant. "You know not to spend on the pricey backpack if your child needs a graphing calculator... It's also going to make sure that you're not buying things now that it turns out later you don't need, and you can't return." For more information on shopping for school on a budget, visit www.SmartMoney.com.